Today’s recruiters face unprecedented challenges. Technological shifts have not only changed how people communicate, but they have also created a more dynamic, ever-evolving business world. As a result, recruiters and hiring managers tasked with filling open positions must move quickly and find creative ways to source top talent and deliver value to their organizations. In this brave new world, recruiters can no longer rely on inefficient communication methods to engage with talent, especially at the top of the recruiting funnel. Phone tag is almost guaranteed to result in lost candidates. Instead, recruiters must employ modern communication methods, such as text messaging, if they are to attract the best talent before competitors can. These tools are not only efficient for recruiters, but they also meet the needs of today’s on-the-go workforce. Recruiters do their best to fairly evaluate candidates’ qualifications regardless of gender, race, ethnicity, age, etc. Unfortunately, unconscious bias still persists throughout nearly every aspect of the hiring process. For example, one recent study that analyzed 24 separate experiments related to discrimination in hiring found “a striking persistence of racial discrimination in US labor markets.” According to this study, white applicants receive on average 36 percent more callbacks than black applicants and 24 percent more callbacks than Latino or Latina applicants. This research indicates that recruiters are still in need of new tools and practices to combat unconscious bias and impartially evaluate candidates. Text messaging can be one of those tools. With text-based screening and interviewing platforms, recruiters can “de-identify” candidates by eliminating names and gender-specific pronouns from the correspondence before sharing transcripts with hiring managers. Text messaging adds an additional layer of masking by eliminating voice from the equation, further allowing recruiters and hiring managers to concentrate solely on a candidate’s experience and abilities. Most workplaces cater to extraverts, who gain energy from other people and recharge themselves through social activity. On the other hand, introverts — myself included! — enjoy connecting one-on-one, and they require alone time in order to perform at their best. Sadly, the average workplace is not so friendly to us introverts. And it’s not just our workplaces that favor extraverts: Much of our recruiting tactics do, too. Extraverts are often quick on their feet, which gives them the edge in interviews. Introverts, by contrast, like to think before they speak. This can be a major disadvantage during an interview. You can level the playing field by using text messages to interview candidates. A text-based interview platform gives candidates all the time they need to craft their responses to your questions. Introverts appreciate being allowed to develop the kinds of well-thought-out answers they prefer — and they get to avoid the chit-chat and banter that come with in-person interviews. Additionally, text screening alleviates introverts’ concerns about the less important details of interviews, like clothing choices, location, etc. Instead, introverts can focus on providing the interviewer with great answers that demonstrate their value. Applicants often have less-than-pleasant experiences during the hiring process, even at great companies. Good communication is key to building positive candidate experiences, but unfortunately, few hiring processes handle this well. A Career Arc study found that 80 percent of applicants would be “discouraged to consider other relevant job openings at a company that failed to notify them of their application status. Yet, they would be 3.5 times more likely to re-apply to a company if they were notified.” To easily keep candidates updated throughout the hiring process — and improve the candidate experience overall — organizations can use text messages to disseminate information quickly and efficiently. 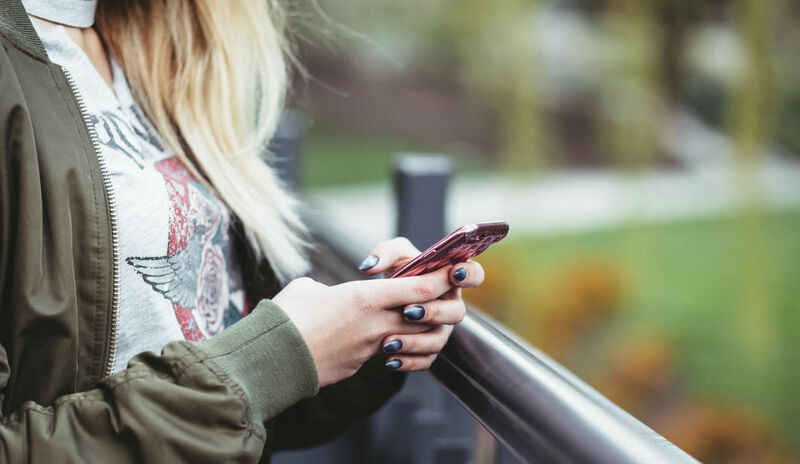 In addition to being many a millennial’s preferred method of communication, texting is the simplest way to stay in touch with applicants, showing them your company is committed to the candidate experience. Kelly Lavin is chief talent officer of Canvas. Kelly Lavin is a human resources executive who excels at helping companies hire and retain great people through creative and impactful talent practices. Recognizing the need for a method to boost recruiting productivity, Kelly has teamed up with Aman Brar and Jared Adams to launch Canvas, the first enterprise-grade text-based interviewing platform that enables recruiters to screen more job candidates and market employment brands. Prior to Canvas, Kelly spent five years with Apparatus, rising through the ranks from director to executive vice president of talent management.